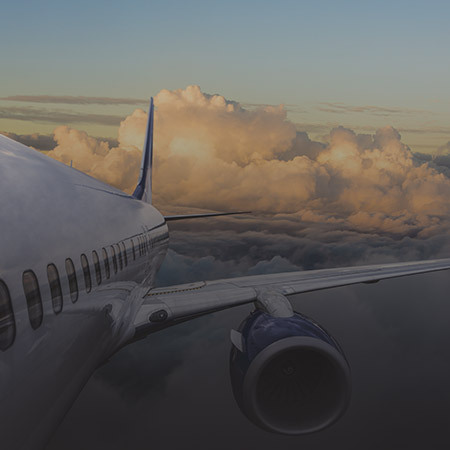 The aerospace, aviation and automotive industries are governed by very strict standards and requirements in terms of accuracy, quality and consistency. These are industries where everything is carefully controlled: product quality, accuracy of measurements and product performance. These values are also those of MECART. MECART is very rigorous in terms of the quality and performance of its products. 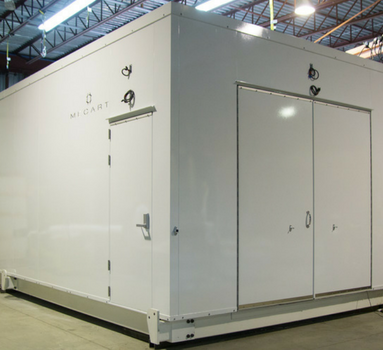 For the aerospace, aviation and automotive industries, MECART designs and manufactures clean rooms and controlled environments of all kinds, as well as test cells for engines and other machines, operator cabs or any other enclosure or modular soundproofed building. To develop high-quality components, you must entrust your project to experts who have proven themselves. With over 40 years of experience, MECART works with world-class companies such as CEL aerospace, Bombardier, Pratt & Whitney, Bosch and MAHLE. Our in-house team of specialists will advise and assist you in designing your project to develop a solution that meets your specific technical requirements. Moreover, we guarantee the performance of our projects and we care about the satisfaction of our customers. The performance of our acoustic components has been laboratory tested and certified. 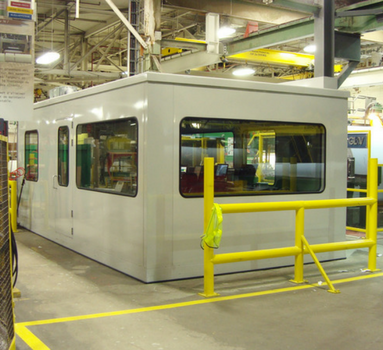 Our modular buildings typically reduce noise by 25 to 55 decibels and more. A structure with anti-vibration cushions is added as needed. We design high-performance air handling systems to meet your requirements, regardless of the type of controlled environment you need. 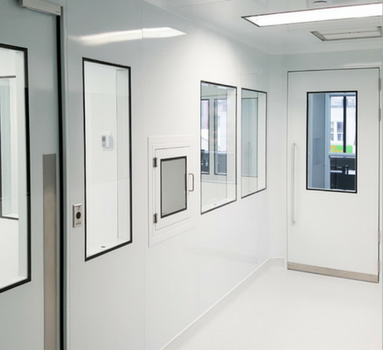 Our clean rooms, calibration and metrology rooms can reach an extremely high level of precision for very strict temperature control (up to ± 0.15 ° C), humidity (up to ± 2%) and air quality (ISO 5 to 8). Construction of our modular panels is made in our own factory which ensures us full control of the quality of production. It also gives us great flexibility because we are not dependent on third-party providers. We follow the ISO 9001 quality management system. Our panels are made of high-grade galvanized steel for superior strength. In some cases, modular buildings must comply with ESD (ESD compatibility) specifications. MECART galvanized steel panels are ESD compatible. 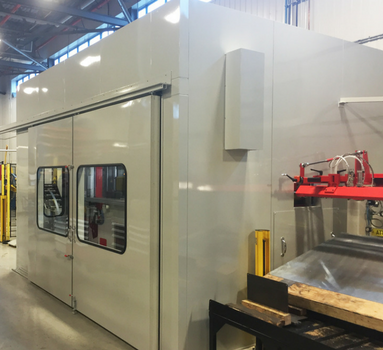 The engineering and manufacturing of our controlled environments are tailor-made to meet the specific needs of our customers. Our unique modular system makes it possible to integrate services in the walls. Buildings can be delivered in one piece or assembled on site. The height of the panels can be adjusted to create high ceiling rooms. The structure can support extremely high loads on the roof and the floor to allow the installation of very heavy equipment. The self-supporting structure of our buildings allows the roof to be used as a mezzanine. A crane can be installed inside for loading and unloading large parts. Explosion-proof walls can be added as needed.